Loggerheads win new protection in Atlantic, Gulf of Mexico - Turtle Time, Inc.
NOAA and USFWS established critical habitat for loggerhead sea turtles in the Atlantic and Gulf of Mexico. The federal government this week initiated protection of 685 miles of beaches from Mississippi to North Carolina and more than 300,000 square miles of ocean as “critical habitat” for loggerhead sea turtles along the Atlantic and Gulf coasts. It is the largest designation of critical habitat ever. To view the final NOAA Fisheries rule for marine critical habitat, visit www.nmfs.noaa.gov/pr/species/turtles/criticalhabitat_loggerhead.htm. 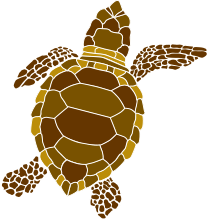 To view the final USFWS rule for terrestrial critical habitat and the associated final economic analysis and maps, visit www.fws.gov/northflorida/SeaTurtles/2014_Loggerhead_CH/Terrestrial_critical_habitat_loggerhead.html. ← Bonita Beach’s First Documented Green Sea turtle Nest Hatched!